An emblematic figure of 20th-century jazz, the pianist and singer Nat King Cole also stood out for his vocal support of the civil rights movement. 1956. Racial segregation still raged throughout the United States, but several African-American figures managed nonetheless to rise to the rank of celebrity: such was the case for Nat King Cole, jazz pianist and singer of countless popular hits (Nature Boy, Unforgettable, (I Love You) For Sentimental Reasons). 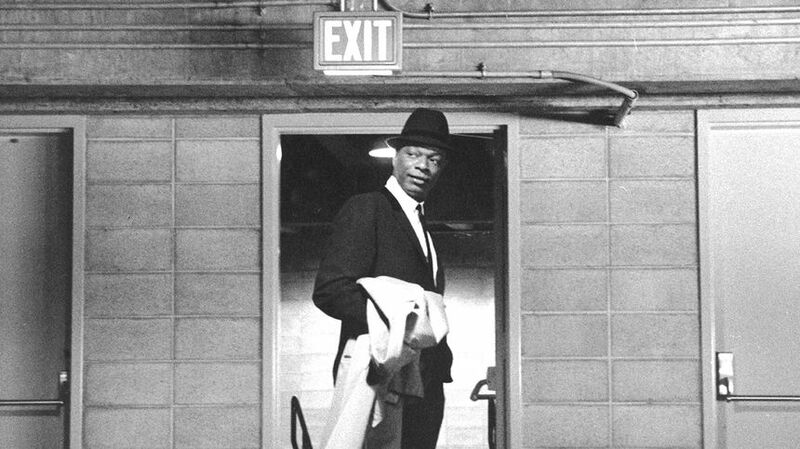 During 1956, Nat King Cole was on tour in the southern states of America. He was also the first African-American man in American history to present a television show: The Nat King Cole Show, on NBC. Born Nathaniel Adams Cole on 17 March 1919 in Montgomery, Alabama, he who would later be called the "King" was quickly encouraged to follow a musical education. His father was a reverend, his mother conducted the church choir, and Nathaniel played the organ and the piano. At home, the music of Earl ‘Fatha’ Hines, Art Tatum, and Jimmie Noone was a common feature: these were not only the founding fathers of jazz, but more importantly the first African-American musicians capable of winning over a "white" audience. The Cole family quickly moved to Chicago, one of the most vibrant centres of swing music and rhythm'n'blues in which the young Nat formed his first musical ensemble with his brother Eddie, the former was on keys, the latter on bass: the name Nat Cole began quickly spreading throughout the town's various clubs. In 1937, he formed The Nat King Cole Trio with Oscar Moore (guitar) and Wesley Prince (bass). Nat continued playing the piano, and though he had not yet envisaged a career as a singer, he nonetheless sang the vocals for the group's first hits: Straighten Up and Fly Right (1943), and (Get Your Kicks On) Route 66 (1946). 1946. Following the first taste of success with the record label Capital Records, the Nat King Cole Trio was invited to perform in Las Vegas. Racial segregation was still a well-established social norm, and Nat Cole was forbidden, amongst other things, from eating at the Sands Hotel restaurant, the very place where he was hired to perform. Only after a word from the famous and influential Frank Sinatra did the establishment allow an African-American musician, Nat King Cole, to sit at the same table as his friends. In the 1940s, Nat King Cole created hit after hit: (I Love You) For Sentimental Reasons, The Christmas Song, (Get Your Kicks On) Route 66, and even the song Nature Boy. Composed by Edhen Abhez, a somewhat wacky and unknown pre-hippy, the song owes its success to Nat King Cole who found the score and, seduced by the music, decided to record it in 1947. Nat King Cole married Maria Hawkins Ellington in 1948, and the couple moved to Hancock Park, a prestigious neighbourhood in Los Angeles. The arrival of a "black" couple in the heart of a "white" community created local unrest: Nat King Cole even received a letter in which he was told that the community did not want any "undesirables" in their neighbourhood. To this, the musician simply replied "If I see anybody undesirable coming in here, I’ll be the first to complain". Success continued during this time: in 1950, the album Mona Lisa reached almost 3 million sales. The following year, the song Unforgettable marked a major turning point in Cole's career: he was now a solo artist, performing throughout the United States and Europe, with or without an orchestra. Nat King Cole was well aware that his popularity helped in no small way the African-American cause and the civil rights movement. Like many other jazzmen, he decided therefore to turn to Hollywood, and appeared in various films (Small Town Girl in 1953, Istanbul and China Gate in 1957). He also appeared on television, on NBC. In 1956, Nat King Cole became the first African-American in the United States to present a television show. The fight, however, was far from over: the country was still plagued with racism, and American companies feared losing their viewers by supporting a "black" presenter. After sixty episodes or so, The Nat King Cole Show was axed. "Madison Avenue is afraid of the dark", commented the jazzman, in reference to the powerful companies residing on the famous New York avenue. Still in 1956, Nat King Cole returned to his home town of Birmingham, Alabama. However, during a concert, he was violently attacked by several members of the White Citizen’s Council, a racist and supremacist organisation. Deeply hurt, both physically and emotionally, Cole left Birmingham and swore never to return, a promise he kept till his death in 1965 (Cole never again performed in a southern state). Nat King Cole encouraged any and all initiatives in favour of civil rights, and was a particularly strong supporter of Martin Luther King. In 1961, he appeared alongside Gene Kelly, Ella Fitzgerald and Harry Belafonte for the inauguration of President John F. Kennedy. Nat King Cole never shied away from his crooner image, adapting his jazz repertoire to the crooner style and performing popular and romantic songs in the hope of seducing an increasingly large public. Cole's record label, Capitol Records, also encouraged him to turn his attention to a growing Latin American audience. He therefore recorded three albums in Spanish, and went on countless successful tours to Brazil, Venezuela and Cuba in the late 1950s. Nat King Cole was only 45 years old when he died of throat cancer on 15 February 1965. The singer sadly passed away at the peak of his career, and is still considered to this day one of the great figures of American music. It was only in 1990, years after his death, that he was posthumously awarded a Grammy Award, a prestigious award in honour of his short but illustrious career.